The VersaTune’s engineered composite core absorbs lower frequency acoustic energy more effectively than traditional panels. This is done without adding thickness or excessive cost. VersaTune improves the listening quality in the space by reducing excessive bass reverberation. 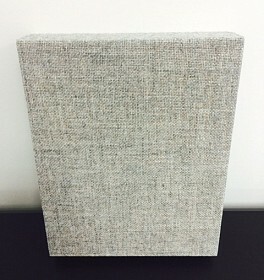 The unique multi-density panel core boosts the absorption coefficient in the 100 to 400 Hz 1/3 octave bands to an average 0.79, much higher than standard 2-1/8 inch thick acoustical panels. A low frequency tuned fiberglass acoustical wall panel wrapped in a wide selection of fabrics or vinyls. Available with hardened shaped edges. Engineered sound control with thicknesses from 1-1/8 to 4-1/8 inches and sizes up to 4 ft. x 10 ft.